a traditional ski resort at it's best. Obergurgl, one of the highest ski villages in Europe, set at 1,930m at the end of the Ötztal valley near the city of Innsbruck, used to trade on its reputation as Austria’s most snowsure non-glacial resort. These days its image as the country’s most reliable resort for snow cover over a season that lasts from mid-November until early May is stronger than ever, thanks to its mid-mountain link to neighbouring Hochgurgl. Hochgurgl, at 2,150m, also has a well-developed glacier going up to 3,080m. But it was not Obergurgl’s snow record that put the little resort on the map, but an aviation accident in the summer of 1931. A Swiss pilot called Auguste Piccard pushed his hot air balloon into the stratosphere to a record height of nearly 16,000m. He then crash landed on the remote Gurgler-Ferner glacier, not far from the village. Eagle-eyed local mountain guide Hans Falkner spotted the landing in the last light of the day. The following morning he carried out a heroic rescue, leading the frazzled flyers across the crevasses to safety. The feat received immediate world recognition – and Obergurgl never looked back. Today, a fifth of its visitors are British and many families loyally return every winter to the small, traditional village set around an early 18th-century church and the resort’s original inn, the Hotel Edelweiss & Gurgl. The resort, built out as far as avalanche safety limits allow, has little traffic and also attracts a wealthy international clientele. The ski area is limited by modern standards, with 110km of piste and 22 lifts, but that doesn’t detract from its appeal as a family destination. It’s ideal for beginners and improving intermediates, but the more advanced will be frustrated by the lack of challenge. The only resorts nearby are Vent, which is small, and the larger Sölden, but neither of these share the lift pass. However, the off-piste opportunities in and around Obergurgl are excellent, and in the late spring, the resort is a major destination for ski touring. New for the 2015/16 season is the Top Mountain Crosspoint in Hochgurgl. This €15,000,000 project is designed to be multifunctional, acting as the base station for the new Kirchenkar gondola, a smart mountain restaurant and a motorbike museum. The 10-person Kirchenkar gondola will replace a t-bar of the same name and will have a higher top station than its predecessor, improving access to the Kirchenkogl slopes. 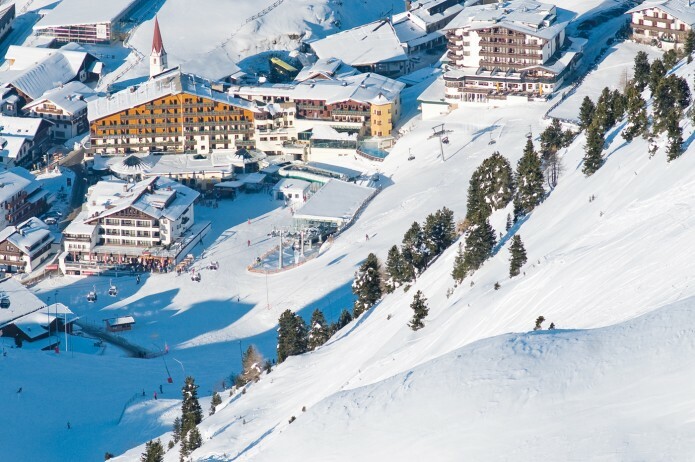 The closest airport for ease of access to Obergurgl is Innsbruck at 60 miles away. A 6 seat Cessna Citation CJ2 jet from London to Innsbruck is approximately 1 hour 40 minutes. A larger 8 seat Cessna Citation XLS will complete the journey in 1 hour 30 minutes. The Drive time will take approximately 1 hour 30 minutes due to the mountain climb. A helicopter will get you to resort in 40 minutes. Arranging a private jet charter or helicopter transfer with Freedom Air to arrive in style to Obergurgl is simple. The Freedom Air team can be reached on +44 (0) 1275 548001 to book your next trip.